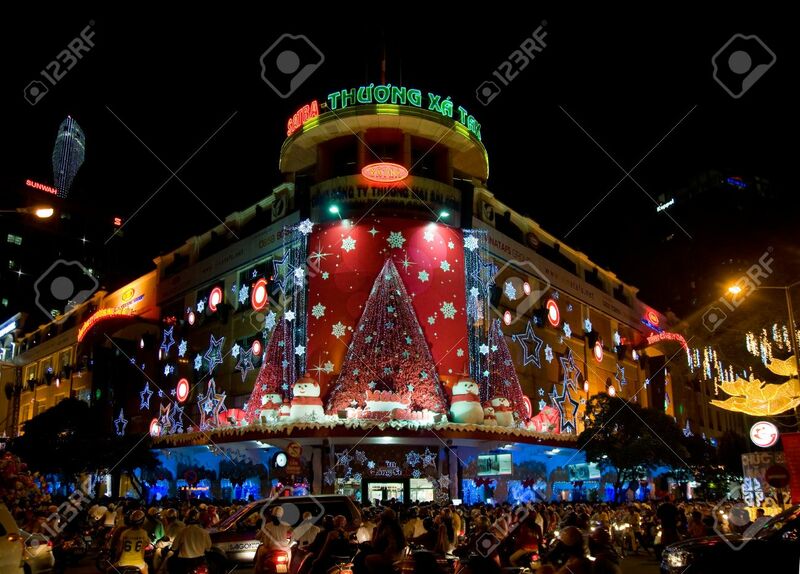 HO CHI MINH CITY - DECEMBER 22: Decorated Department Store And.. Stock Photo, Picture And Royalty Free Image. Image 8500644. Stock Photo - HO CHI MINH CITY - DECEMBER 22: Decorated department store and shoppers in the street on December 22, 2010 in Ho Chi Minh City. HO CHI MINH CITY - DECEMBER 22: Decorated department store and shoppers in the street on December 22, 2010 in Ho Chi Minh City.